Fifteen years ago I was asked to write a Manual/handbook for staff at Vatnaskogur – YMCA Summer Camp in Iceland. Since then I have revised the manual few times. 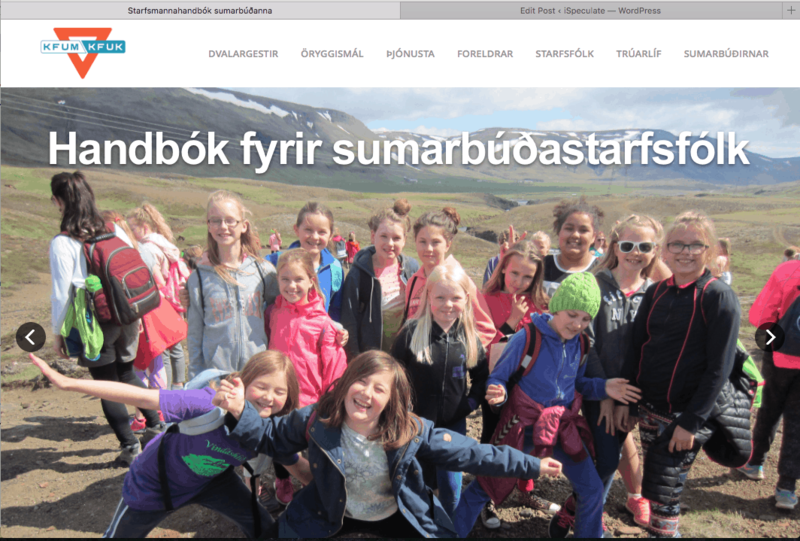 In Spring 2016 I worked with a group of editors from all five YMCA Summer Camps in Iceland, and created a web-manual/handbook addressing communications, safety procedures, job descriptions, etc. The manual is accessible for YMCA’s various boards and staff on a protected website.